How can I sign up for text alerts? You can sign up for text alerts3 in the RushCard mobile app (standard text message and data rates, fees, and charges may apply) by selecting "Contact Preferences" or in the Account Settings section of your online account and selecting the types of text alerts that you'd like to receive. Or you can text ENROLL to 697874 (MYRUSH) from the mobile phone number that is connected to your RushCard account(s). You can update the mobile number for your RushCard account(s) anytime through your online account. There is no charge for this service, but standard text messaging rates from your mobile provider may apply. What information can I receive through texts? RushTEXT3 allows you to obtain your balance, check recent transactions, and perform other tasks through the text messaging feature of your mobile phone. There is no charge for the RushTEXT service, but standard text messaging rates from your mobile provider may apply. What are RushTEXT two-way alerts? With RushTEXT two-way alerts, you can check your balance, recent transactions, and other account activity by texting a command to 697874 (MYRUSH). 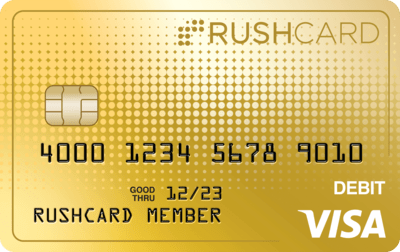 RushCard will then send a reply text message with the most recent information for your card account(s). You must be enrolled in RushTEXT in order to receive messages. There is no charge for this service, but standard text messaging rates from your mobile provider may apply. How do I unsubscribe from text alerts? Text, "STOP" to the six-digit U.S. short code 697874 (MYRUSH). We'll send you a confirmation message and you'll receive no further messages from RushTEXT3.